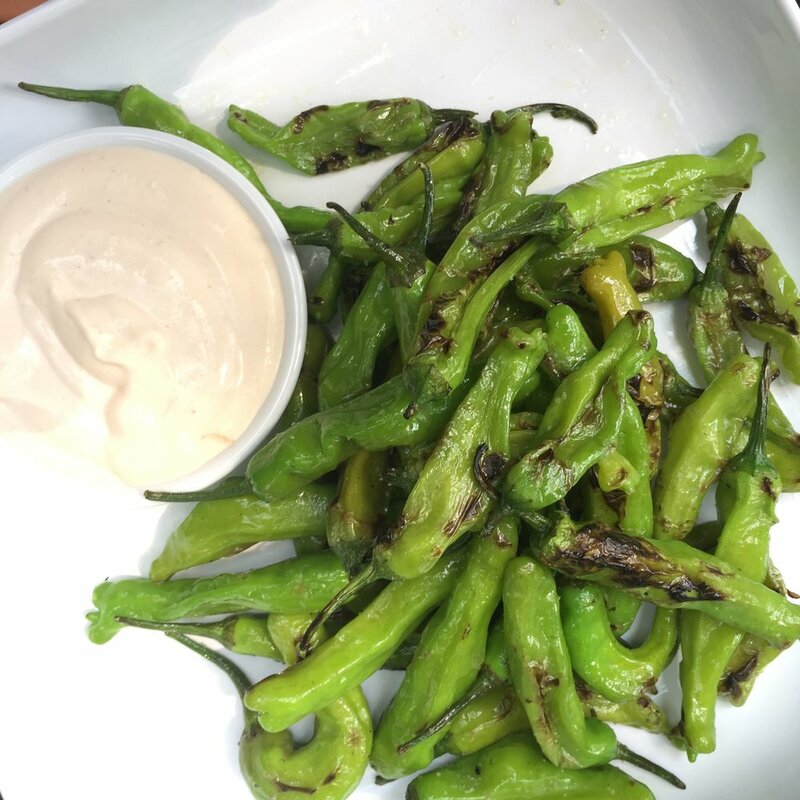 Shishito peppers are delicious and mild enough (with the occasional surprise exception) to be eaten whole. 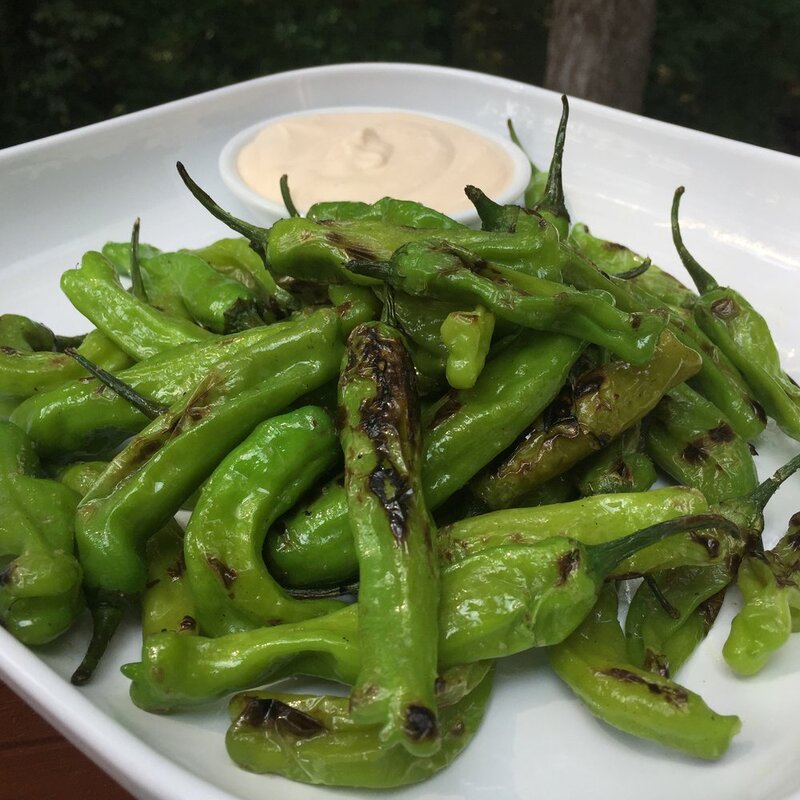 This is a 5 minute recipe that makes a great snack, appetizer, or side dish. Plus, it's another great reason to break out your cast iron pan! Heat a cast iron skillet over medium high heat and drizzle a little bit of oil in it. Add all of the peppers and spread out into a single layer. Every minute or so toss the peppers around and spread them back out. You have to leave them still long enough to blister and char, and move them around enough so that they cook on all sides. Most importantly don't overthink it, it should take less than five minutes if your pan is nice and hot. It will probably smoke a bit, don't worry, open a window if you need to. Combine the chèvre, sour cream, miso, sriracha, and vinegar. Mix until smooth. When the peppers are done toss them with a pinch of salt.